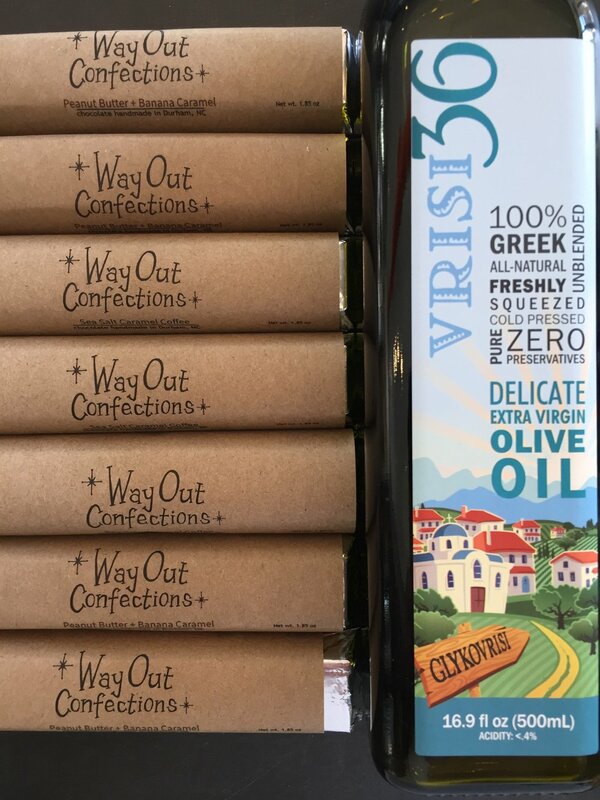 This week we're featuring fan favorites and combining Way Out Confections delicious filled chocolate bars with Flying Olive Farms Vrisi36 Extra Virgin Olive Oil! If you're looking for your next great pantry additions for home cooking or entertaining we've got you covered! RP Birthday + Purr Cup Cat Café!